- Microline 390 Turbo with CSF. 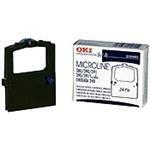 - MICROLINE 390 Turbo/n, 120V (English). - Microline 391 Turbo with CSF. - MICROLINE 391 Turbo/n, 120V (English). - MICROLINE 390 Turbo (Ltd. Gray Edition).